From September 25-28, IAB is hosting the 2017 IAB Leadership Dialogues, an invite-only series of intimate discussions in which leaders of the marketing, media, and technology sectors will interact with leaders who are reinventing their world. The event convenes a select group of senior industry executives during Advertising Week 2017, to engage in intimate dialogues with transformative leaders in business, politics, economics, and technology to gain insights from and debate critical industry, political, and economic issues with each other – the men and women who are driving business change in the U.S. and abroad. His latest book is Fantasyland: How America Went Haywire: A 500-Year History(2017). He’s also the author of the critically acclaimed, bestselling novels True Believers (2012), Heyday (2007) and Turn of the Century (1999). Heyday was a New York Times bestseller that the Los Angeles Times called “a major work.” The New York Times Book Review said there is “something moving, a stirring spirit, in the energy of its amazement.” And the Houston Chronicle (and nine other papers) said it “deserves instant acceptance into the ranks [of] Thomas Berger’s Little Big Man, E.L. Doctorow’s Ragtime, [and] Gore Vidal’s Lincoln.” It was included on several best-books-of-the-year lists, and won the Langum Prize as the best American historical novel of 2007. The New York Times called Turn of the Century “wickedly satirical” and “outrageously funny” and named it a Notable Books of the year, while The Wall Street Journal called it a “smart, funny and excruciatingly deft portrait of our age.” It was a national bestseller, and Publishers Weekly called it one of the ten best long novels ever. In 2009 he published Reset, an “influential” (Huffington Post), “heavyweight” (USA Today) and “inspired and inspiring” (BoingBoing) essay about how America could have changed for the better following the economic and financial crises of 2008 and 2009. He has also written for film, television and the stage. During the 1990s he was executive producer and head writer of two prime-time specials for NBC, How to Be Famous and Hit List, starring Jerry Seinfeld and Julia Louis-Dreyfus, and a creator of three pilots for ABC and NBC. More recently he wrote scripts for HBO and Amazon. He was also co-author of Loose Lips, a satirical off-Broadway revue that had long runs in New York and Los Angeles starring Bebe Neuwirth, Harry Shearer and Andy Richter. In 2011 he served as a guest Op-Ed columnist for The New York Times. From 2004 through 2008 he wrote a column called “The Imperial City” for New York (one of which is included in The Best American Magazine Writing 2008), and contributes to Vanity Fair. He was previously a columnist for The New Yorker (“The Culture Industry”) and TIME (“Spectator”). He began his career in journalism at TIME, where during the 1980s he was an award-winning writer on politics and criminal justice before becoming, for eight years, the magazine’s architecture and design critic. He is also host and co-creator of Studio 360, the cultural magazine show produced by Public Radio International. It is broadcast on 217 stations and distributed by podcast to almost 1 million listeners in all each week. The show won Peabody Awards for broadcast excellence in both 2005 and 2013. As an editor, he co-founded the transformative independent magazine Spy, which increased its circulation tenfold and became profitable after just three years. He also served as editor-in- chief of New York during the mid-90s, presiding over its editorial reinvigoration and record profitability. In 1999 he co-founded Inside, an online and print publication covering the media and entertainment industries, and in 2004 and 2005 he oversaw a relaunch of Colors magazine. In 2006 he co-founded Very Short List, an online cultural newsletter. From 2007 to 2009 he was editor-at- large for Random House. Jeffrey Cole has been at the forefront of media and communication technology issues both in the United States and internationally for the past 25 years. An expert in the field of technology and emerging media, Cole serves as an adviser to governments and leading companies around the world as they craft digital strategies. In July 2004 Dr. Cole joined the USC Annenberg School for Communication as Director of the newly formed Center for the Digital Future and as a Research Professor. The Center is a research and policy institute committed to work that has a real and beneficial effect on peoples lives, while seeking to maximize the positive potential of the mass media and our rapidly evolving communication technologies. Prior to joining USC, Dr. Cole was a longtime member of the UCLA faculty and served as Director of the UCLA Center for Communication Policy, based in the Anderson Graduate School of Management. At UCLA and now at USC Annenberg, Cole founded and directs the World Internet Project, a long-term longitudinal look at the effects of computer and Internet technology, which is conducted in over 25 countries. At the announcement of the project in June 1999, Vice President Al Gore praised Cole as a true visionary providing the public with information on how to understand the impact of media. Ten years into the project, the World Internet Project, through its unique data on Internet users around the world, is the leading international project examining the ways in which our social, economic and media lives are changing. Cole regularly presents trends and insights of the project to the White House, FCC, Congress, Department of Defense and to governments around the world. On the corporate side, Cole advises Microsoft, WPP (Group M), Ericsson, Sony, Time-Warner, AT&T, AARP and others in their traditional and digital media strategies. In the 1990s, Cole worked closely with the four broadcast networks (ABC, CBS, NBC and Fox) under an anti-trust waiver that allowed the networks to work together for the first time dealing with television programming issues. Meeting regularly with the CEOs, general counsels, heads of programming and others at the networks, he issued annual reports to the television industry, Congress and the nation. Upon the release of the 1996 report, Cole held a joint press conference with President Bill Clinton, who referred to the Center for Communication Policy as the premier educational institution setting trends in entertainment. Nationwide there was unanimous praise for the quality of the reports and their contribution to the television content debate. Cole has testified before Congress on television issues and has spoken as a keynote and panel member at more than 500 conferences on media and technology. He has worked with both the Clinton and George W. Bush White House on media and telecommunications issues, including detailed briefings on the Centers work. He regularly makes presentations across the U.S. and in Europe, Asia, Latin America and Africa. In 1994 the Center co-sponsored The Superhighway Summit in UCLA’s Royce Hall with the leaders of most of the nation’s major media companies. For the annual Family Reunion Conferences in Nashville, Tennessee, Cole has worked with Vice President Gore to produce films opening the 1995 through 2002 conferences. The annual films were screened before an audience of 1,400 including the Vice President and President Clinton. Cole was a member of the Executive Committee of the Academy of Television Arts & Sciences (ATAS) from 1997 to 2001 and was the founding governor of the ATAS Interactive Media Peer Group. At UCLA, Cole taught over 35,000 students. In 1987 he received UCLA’s Distinguished Teaching Award. Marie Gulin-Merle has 15+ years of strategic digital and integrated communications experience. As CMO for L’Oréal USA she drives new marketing models, innovations and partnerships across the company’s portfolio of 30+ iconic brands. From content creation and distribution to enhancing consumer engagement through data and analytics, Ms. Gulin-Merle is passionate about developing the creative platforms and tools needed to keep the consumer at the center of L’Oreal USA’s business. In 2016, she was included in WWD’s 10 Most In-Demand Execs in Digital Fashion and E-Commerce list, Ad Age’s 40 Under 40 list and Business Insider’s Most Innovative CMO’s list. Kristin Lemkau is the Chief Marketing Officer for JPMorgan Chase, responsible for marketing, brand, advertising, media, sponsorships, marketing analytics and market research firmwide and communications for Chase. She has spent 19 years at JPMorgan Chase in communications and marketing roles across the firm. In 2017 she was recognized as a Matrix Award winner by NY Women in Communications. In 2016, she was named one of Ad Age’s 10 Power Players and one of Adweek’s Most Indispensable Executives in Marketing, Media and Tech. Prior to JPMorgan Chase, she held communications and marketing positions at Allied Signal (now Honeywell) and Freeport-McMoRan. She is a member of the Leadership Council for the Robin Hood Foundation and on the Board of the Association of National Advertisers (ANA). 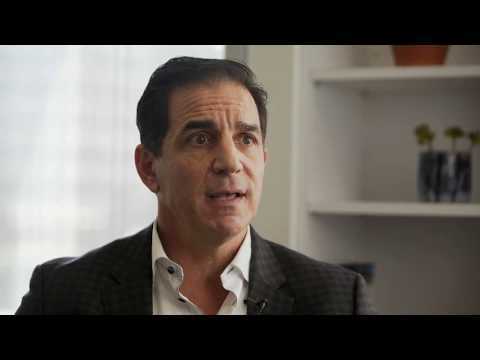 Bob Lord is IBM’s first Chief Digital Officer, where he is missioned with unleashing IBM to empower the world – giving business leaders, developers, startups and business partners an unparalleled experience with IBM’s products and services. Bob leads the company’s Digital Strategy & Platforms, Digital Sales & Routes to Market, Developer Advocacy and Venture Groups, Client Experience, and Independent Software Vendors (ISVs) & Cloud Service Providers (CSPs) solutions. Platforms – used by over 2,500 brands and agencies and over 40,000 publishers. Prior to AOL, Bob was Global CEO of Razorfish, one of the early web design and digital agencies. He held several leadership roles at the company before becoming CEO. He brought his experience to bear in his book, entitled “Converge: Transforming Business at the Intersection of Marketing and Technology,” available on Amazon or Safari as an aid to transform industries. Bob holds an MBA from Harvard Business School and a BS in engineering from Syracuse University. He serves on the Board for home retailer Williams Sonoma. He also serves on the Board of Screenvision Media, a premier cinema, video and media organization. He is an active member of the TED community and a founding member of The Nantucket Project. He enjoys biking, surfing, competing in triathlons and spending time with his family. John Martin is chairman and chief executive officer of Turner, a portfolio of news; entertainment; kids and young adult; and sports networks and businesses including CNN/U.S., CNN International, CNN.com and HLN; TBS, TNT, Turner Classic Movies and truTV; Cartoon Network and Adult Swim; and Turner Sports. Martin assumed executive leadership of Turner in January 2014. Previously, he was chief financial and administrative officer of Time Warner Inc., overseeing Time Warner’s finance, accounting, mergers and acquisitions, internal audit, investor relations, treasury and tax areas. In addition, he had oversight of corporate human resources and worked closely with other members of Time Warner’s senior management team and its operating divisions on a variety of organizational, development and diversity issues. Before becoming Time Warner’s chief financial officer in January 2008, Martin had been executive vice president and chief financial officer of Time Warner Cable Inc. since August 2005. Previously, he spent nearly 12 years at Time Warner, ultimately as senior vice president, investor relations, from 2002 to 2005. He was a director in the equity research group of ABN AMRO Securities LLC from 2000 to 2002. Earlier, he served as director in the Office of the President at Time Warner and director of finance special projects. He began at Time Warner in 1993 as a manager of SEC financial reporting. Before joining Time Warner Inc., he was a Certified Public Accountant, working as a senior accountant at Ernst and Young LLP in New York. Martin received an M.B.A. degree in finance and organizational behavior from the Columbia University Business School and a B.S. in economics from the Wharton School of Business at the University of Pennsylvania. He is a member of the board of trustees of Columbia University’s business school. He also serves on the boards of the Paley Center for Media. Dr. Oz has won Nine Daytime Emmy® Awards for “The Dr. Oz Show” and is a professor of Surgery at Columbia University. He directs the Complementary Medicine Program at New York Presbyterian Hospital and performs 50 heart operations annually. His research interests include heart replacement surgery, minimally invasive surgery, alternative medicine and health care policy. He has authored over 400 original publications, book chapters, and medical books, has received numerous patents, and participates in 50 heart surgeries per year. He also hosts the internationally syndicated “Daily Dose” in numerous radio markets syndicated thru iHeartRadio, a newspaper column syndicated by Hearst in 175 markets internationally, and has a magazine with Hearst “The Good Life”, which was voted the hottest new publication in 2014. Dr. Oz was born in Cleveland, Ohio, raised in Delaware and received his undergraduate degree from Harvard University (1982) and obtained a joint MD and MBA (1986) from the University of Pennsylvania School of Medicine and Wharton Business School. He was awarded the Captain’s Athletic Award for leadership in college and elected Class President twice followed by President of the Student Body during medical school. He lives in Northern New Jersey with his wife Lisa of 32 years and their four children, Daphne, Arabella, Zoe and Oliver and two grandchildren Philomena and John. Previously, Dr. Oz was a featured health expert on “The Oprah Winfrey Show” for six seasons, spanning over 60 episodes. He also served as chief medical consultant to Discovery Communications, where his “Transplant!” series won both a Freddie and a Silver Telly award. He has appeared on all the network morning and evening news broadcasts and guest hosted numerous shows. He also served as medical director of Denzel Washington’s “John Q” and performed in the hip-hop video “Everybody” as part of the Let’s Move Campaign. 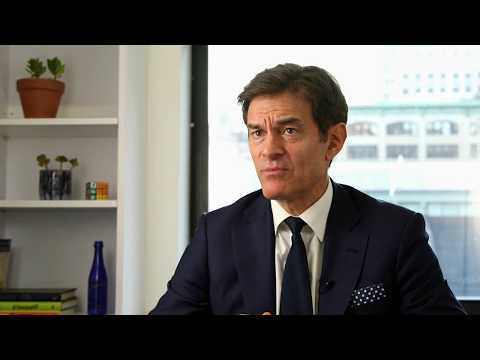 Dr. Oz authored seven New York Times Best Sellers, including “You: The Owner’s Manual”, “You: The Smart Patient”, “YOU: On a Diet”, “YOU: Staying Young”, “YOU: Being Beautiful”, “YOU: Having a Baby”, “YOU: The Owner’s Manual for Teens”, as well as the award-winning “Healing from the Heart”. He has a regular column in Oprah Magazine and Time, and his article “Retool, Reboot, and Rebuild” for Esquire magazine was awarded the 2009 National Magazine Award for Personal Service. He co-founded Sharecare.com which won “Best Medical App” award for AskMD in 2014. In addition to belonging to every major professional society for heart surgeons, Dr. Oz has been named Time magazine’s 100 Most Influential People, Forbes’ most influential celebrity, Esquire magazine’s 75 Most Influential People of the 21st Century, a Global Leader of Tomorrow by the World Economic Forum, Harvard’s 100 Most Influential Alumni, as well as receiving the Ellis Island Medal of Honor and AARP 50 Influential people over 50. He won the prestigious Gross Surgical Research Scholarship, and he has received an honorary doctorate from Istanbul University. He was voted “The Best and Brightest” by Esquire Magazine, a “Doctor of the Year” by Hippocrates magazine and “Healer of the Millennium” by Healthy Living magazine. Dr. Oz is annually elected as a highest quality physician by the Castle Connolly Guide as well as other major ranking groups. He is also an honorary police surgeon for New York City. Mike Pesca is the host of daily Slate podcast The Gist. Previously, he was an NPR correspondent for over 10 years, most of which were spent covering sports. He has guest-hosted the public radio programs On the Media, Brian Lehrer Show, Leonard Lopate Show, Science Friday, Left, Right and Center, Bullseye, On Point, To the Point, All Things Considered, Talk of the Nation and Wait, Wait, Don’t Tell Me, along with regularly appearing on CNN and MSNBC. He has won two Edward R. Murrow broadcasting awards. Jacob Weisberg is Chairman and Editor-in-Chief of The Slate Group, which includes Slate magazine and Panoply. He is also the creator and host of Trumpcast, a near-daily podcast dedicated to understanding the Trump phenomenon. He began at Slate as Chief Political Correspondent in 1996, and was Editor from 2002 to 2008. He is the author of several books, including 2008 New York Times bestseller The Bush Tragedy, and his latest, a 2016 biography of Ronald Reagan. He is a member of the Board of Directors of the PEN American Center, the Committee to Protect Journalists, and the Interactive Advertising Bureau. Self-expression at scale is changing the world we live and do business in. 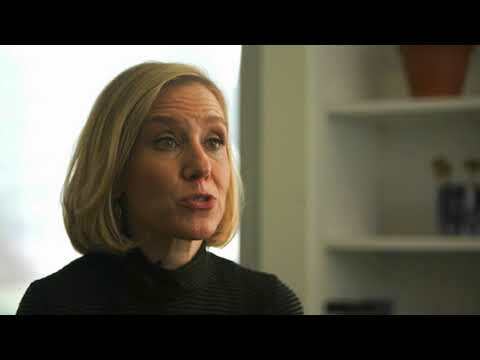 In this open discussion, Instagram’s Chief Operating Officer Marne Levine addresses the evolution of visual storytelling and shares her vision for how communities like Instagram will continue to affect creativity, culture and commerce. 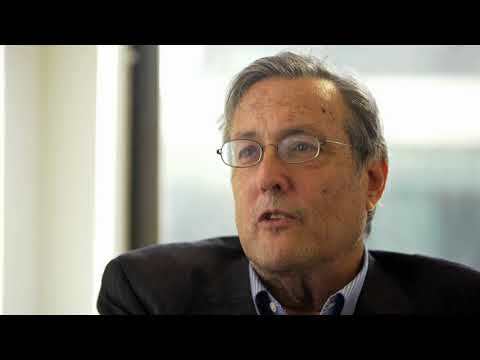 Industry vet Bob Lord sits right at the center of creativity and technology. Join him in a discussion about the changing media landscape and the opportunities that disruptive technology such as AI has created, and continues to produce is, for the industry and beyond. Driverless cars are becoming an extension of the living room, disrupting everything from media, sports, culture, and the workforce. Hear why Jeff Cole predicts they will become mainstream sooner than expected. Has the industry done enough self-policing when it comes to fake news? Join Dr. Oz in a conversation about the complexities, nuances, and tradeoffs on the issue. L’Oréal has experienced a shift in its marketing strategy—evolving its agency relationships and moving toward in-housing content production. Join CMO Marie Gulin-Merle in conversation as she discusses the legacy brand’s embrace of the next wave of digital advertising, through emerging technologies like AR, VR and AI. A unique path to the top job at Turner gave Chairman John Turner a distinct perspective on the current and future state of what we used to call “television.” Faced with hard truths about consumers’ expectations toward their access to content, the costs they are willing to pay, and the pace of change required for legacy media companies to meet these expectations, John is focused on turning viewers into fans. Join this open dialogue as he shares what he thinks is required to keep media giants from going extinct. This dialogue has sold out. 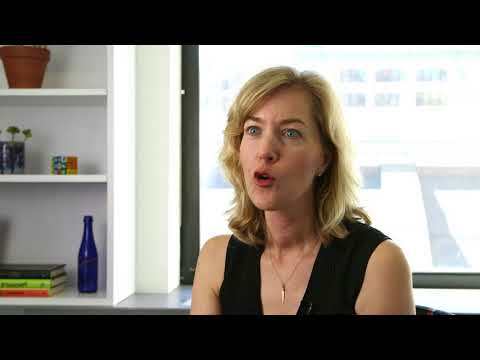 JP Morgan Chase CMO Kristin Lemkau boldly and publicly eliminated 99 percent of the digital sites that had received her bank’s advertising. Hear why she feels great about it and learn how she’s redefining the purpose of marketing in an unsafe world, ultimately bringing brand safety to the Wild West of digital. Join us for a special live recording of Trumpcast, Slate’s wildly popular political podcast. Host Jacob Weisberg is joined by Mike Pesca of The Gist and Kurt Andersen of Studio 360 for a bold and witty conversation on the latest news from the Trump Administration. With a 45-year tradition of excellence in audio, NPR delivers award-winning content to more than 30 million radio listeners each week, 36.9 million at NPR.org each month, 12.3 million monthly podcast users, and audiences across emerging platforms such as voice-activated Google Home and Alexa devices. Through its distribution network – reaching a total 85M monthly – dynamic measurement tools and high-impact sponsorship, NPR continues to define the future of listening with its commitment to taking audio everywhere.